As I always say, I should have done my research first! The bottle cap has a web effect pattern on it, so I expected it to create a web effect? Wouldn’t you? I think black would have looked a lot better! 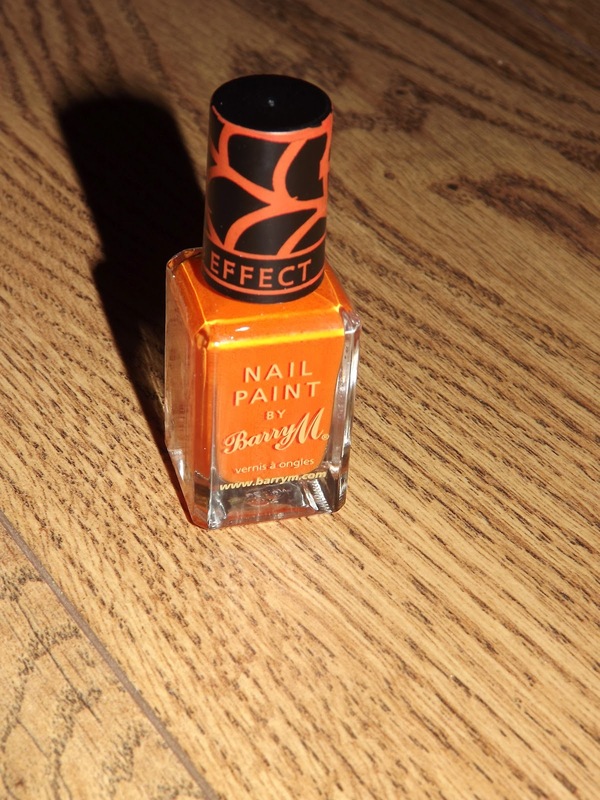 But as you can see it creates an orange croc affect, not the web effect I was expecting 🙁 I wanted to use my black Topshop nail art pen to draw spiders on the ‘web’ but I think now that would look so pointless as it looks nothing like a web! I’m so rubbish with my other croc effect nail polish so mine didn’t go too well! Look how bad my thumb nail turned out! I hated the look it gave, I think this was mainly because. 2. I need to be neater with my nail painting and not so rushed! 3. Painted the web effect to the end of my nail to avoid that awful white space – ew! The polish lasted around one day before cracking, but to be honest I couldn’t wait to take this off, I really did make a mess of it! 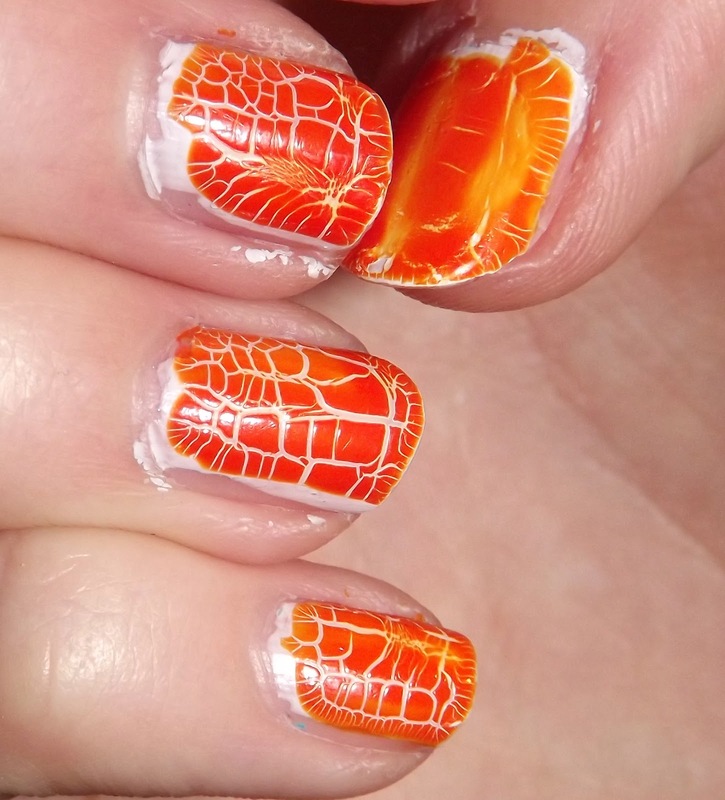 I would recommend the polish if you want an orange croc effect look but if you want to get a web effect for Halloween – I would avoid! Wow you did 100 times better than I ever would, I'm terrible at nail art I can't keep my hand still unfortunately haha. Wow those are some gorgeous halloweeny nails! I stumbled upon your blog and I love it! I'm following and hoping you'll follow me back! Ps,I really like how your blog design. Did you do it yourself? Mainlymeghan.Blogspot.Com.